The folks who know me well, won’t hesitate to confirm, that when I want to get a project rolling or a conversation started I am sometimes willing to go “out on a limb” to get that ball rolling! With that said, I’m going out on a limb now, and I am fully confessing my ignorance about Agility training and all things related. 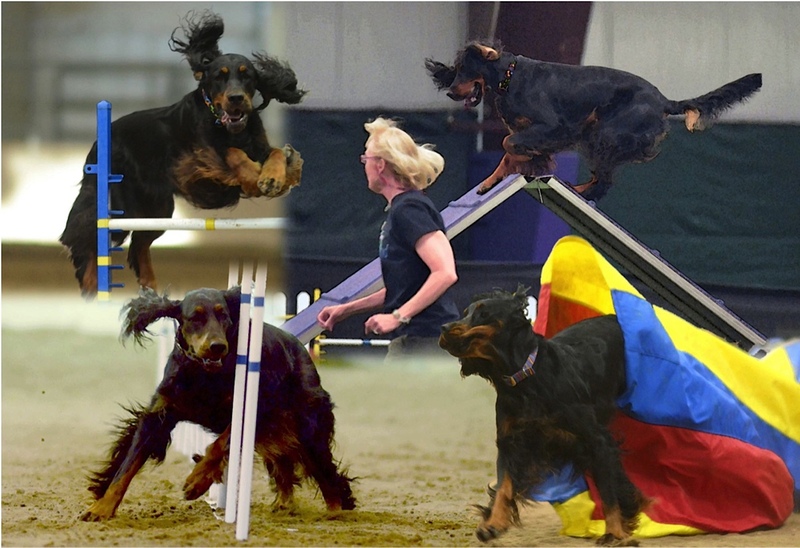 But, what I do want, is to see us keep the ball rolling when it comes to sharing information with our audience that might encourage others to start training, or help someone who is working to train their Gordon Setter for performance competition. So, I’m posting this video link knowing full well that I am going out on a limb having no Agility experience. 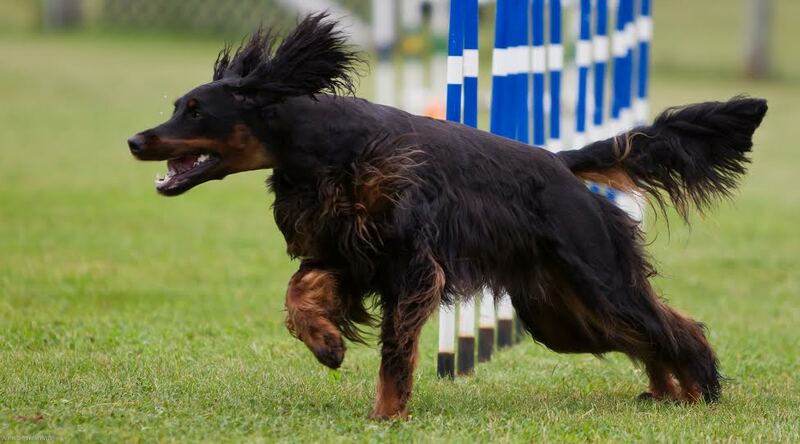 Along with this link then, comes my request that you, readers who are actively training, consider commenting about the effectiveness or techniques that are shown here, is this good advice, is there better advice to be found elsewhere, did this type of training help you get your Gordon Setter ready for competition? I am also asking that you consider contributing to this cause by submitting articles, or links to articles that you believe will help others who are working with their Gordon. Many would love to see articles shared on this blog that come from you, whether you’ve written them yourself or are providing links to those written by others. 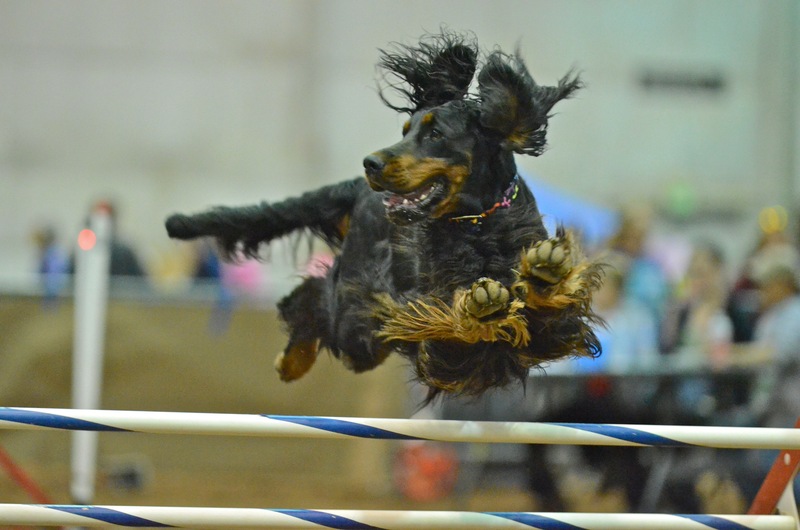 People do want to learn about Agility and Obedience competition and I hope that those of you who are actively participating with your Gordon Setter will join here in providing guidance and assistance that is truly valued by all. Don’t do it for me – I can’t possibly keep up with a Gordon in the Agility ring – do it for those who want to learn from you. Here you go, just click this link to view the video: How To Teach Weave Poles With the 2×2 Set Up. 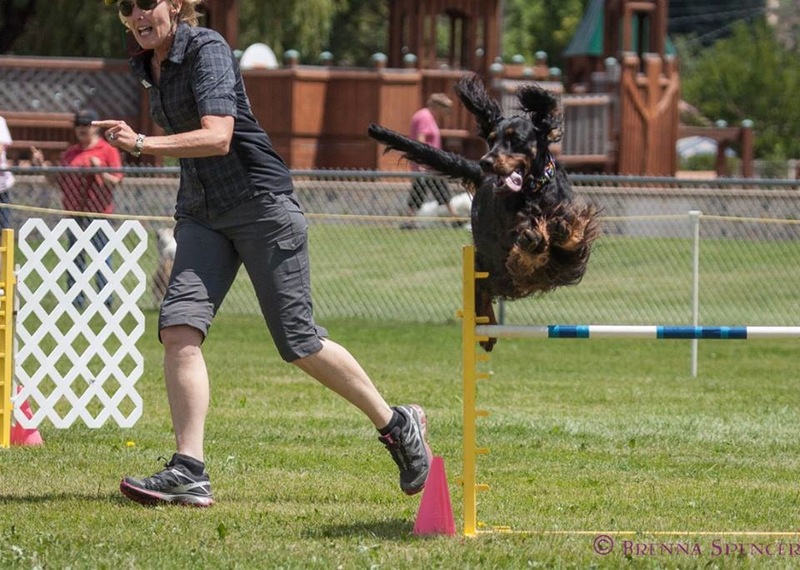 I understand that participating in speed competitions with our Gordon Setters can sometimes result in injury for the dog, and that helping our dogs prevent such injury ranks very high for those engaged in trials like Agility or Flyball. There is a ton of good advice to be found on the internet and offered by your own trainers and training partners, as well as by physical therapists. I did run across this article written by Bobbie Lyons and published at Pawsitive Performance and I thought I’d share it with you. Perhaps we can start a discussion here that will generate other great resources for everyone working and training with their Gordon Setters about how they can properly condition dogs to help prevent injury. If you’re competing or training in any of the performance events and you know of resources that will help others avoid injury would you share them with us by making a comment on this article? Here’s the link to the article by Bobbie Lyons – Avoiding Iliopsoas Injury – Doubles, Triples and Broad Jumps – Pawsitive Performance. 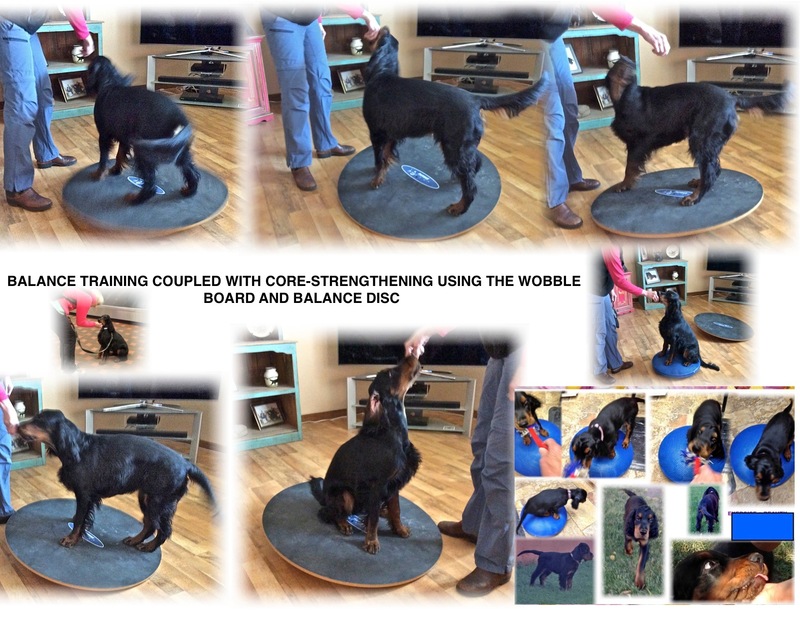 Just found an article to share with you all about starting your Gordon Setter puppy in Agility training. As with any responsible trainer the author reminds us that puppies are growing and because it’s easy to cause growth plate related injuries, cautions us not to engage in strenuous training. Be sure to read our previous article about the puppy’s growth plates before you start any training Mary, Mary Quite Contrary, How Does Your Gordon Grow? 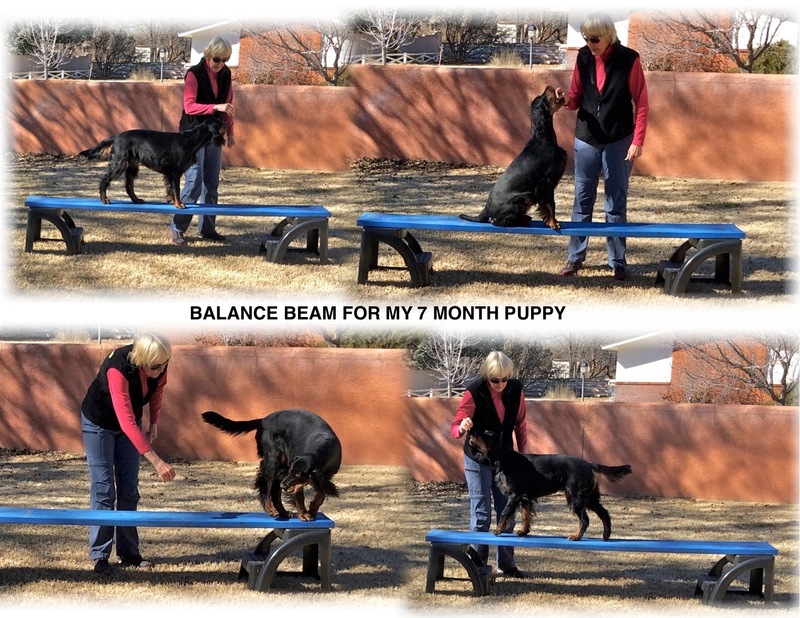 I am so very pleased to welcome this week’s Guest Blogger – Linda Stebbins of Los Ranchos NM to share her training experience in Agility. I know you’ll all treat her right, give her a big round of applause or shake her hand and say “thanks so much” next time you see her! Although I do not consider myself an expert, my 25+ years in a breed I dearly love, allows me to make valid comments, constructive criticism and appropriate recommendations.When I write about a topic, I am pulling from my own experiences and do not deny there are other methods and styles of training whether it be in conformation, performance or field. I do not proclaim to be a professional trainer and am in a perpetual learning mode. I do this for FUN! I like to get my Gordon Setters’ Championship and Grand Championship titles as soon as I can so I can start playing in the agility ring. I don’t begin competing in trials until my Gordons are two years old and I know that their growth plates are closed. I use rally trials as a tool for socialization, obedience and positive reinforcement. My true love is agility and I can honestly say I am an agility-holic. Before agility I participated in obedience and hunt tests. 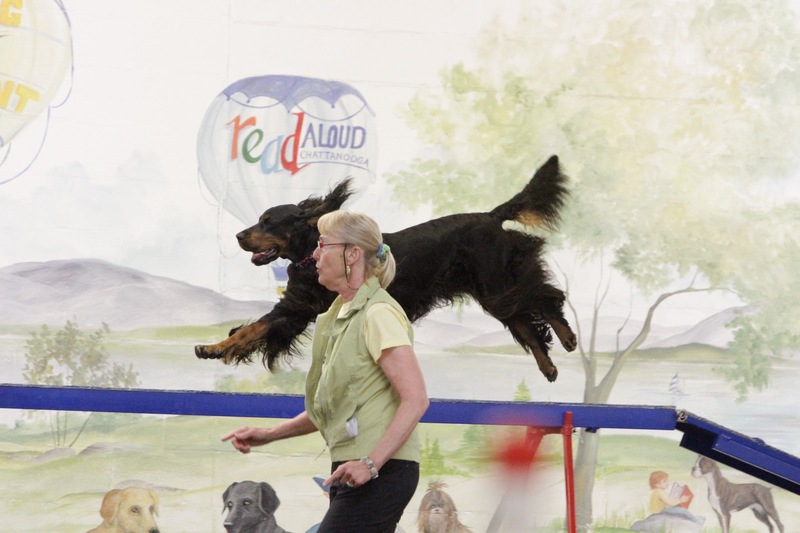 Agility became a strong desire for me because it gave me and my Gordon Setter a sense of mental and physical challenge. I truly appreciate Gordons who have titles on both ends of their name, and there is every reason for a Gordon to be extremely successful in this sport if so desired. 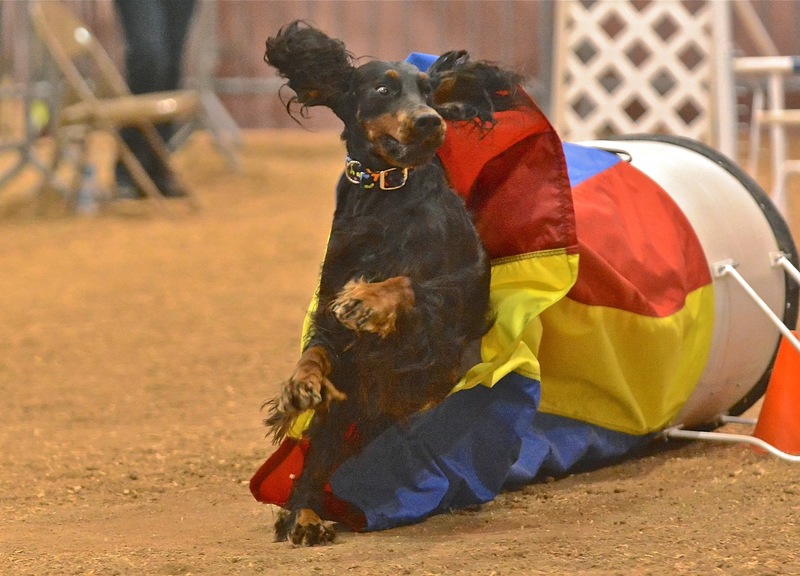 While most breed show dogs are campaigned for a relatively short period of time, many agility dogs compete into their senior years with the jump height going to 20″. As for temperament, I like a Gordon who has a desire to work and a willingness to train. I was asked in an interview, “In your opinion, what makes the Gordon Setter such a special breed?” I replied, “Versatility!” They aim to please. They can hunt expertly, are extremely agile, obedient out of love, flow like a stream in the show ring, are a form of positive therapy for the owner’s “dog days”, full of snuggles and contentment whether in your lap or in their beds. As a learner, the Gordon Setter in general is intelligent, quick to learn and of bold character. I like the Gordon’s willing and forgiving attitude which makes a great partner. Curiosity and independence are traits which I think allow the Gordon to be a successful student. My puppy starts in puppy socialization class which includes manners, and then moving into basic obedience where he/she learns to have a reliable sit, down, stay, and recall. We transition to “flat work” which is agility foundation, teaching me how to handle and making my body language clear and timely. The puppy learns how to take direction from me. After all, it is on the flat surface where I do most of my job navigating my Gordon. 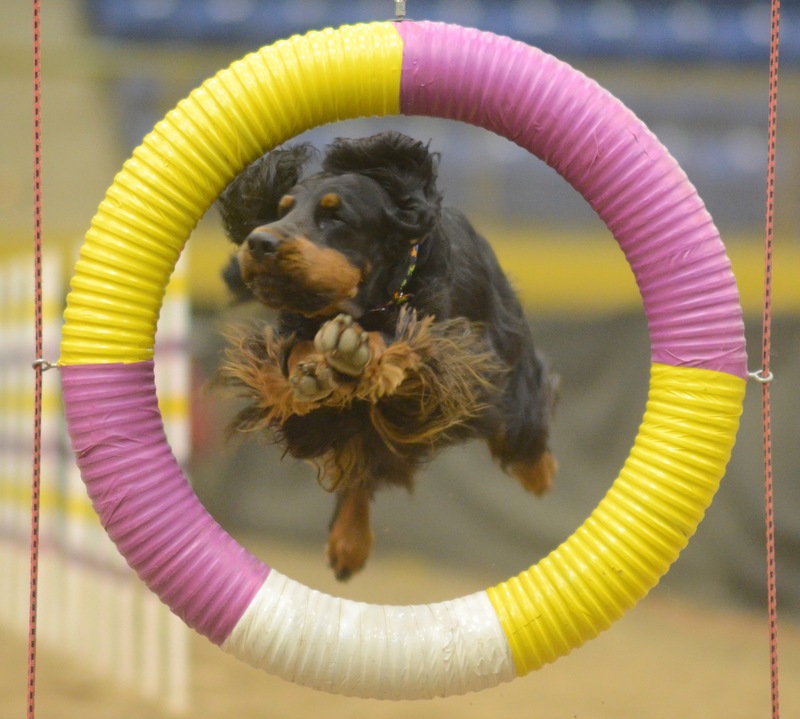 A combination of training class, private lessons and creative home training make a great equation for success on the agility course. 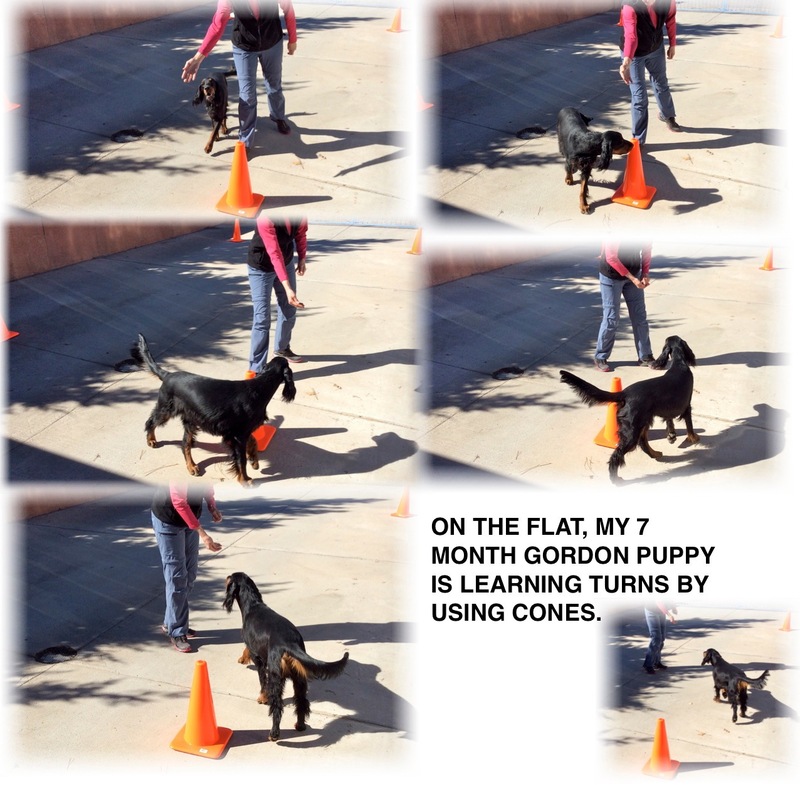 A class exposes my Gordon to different sounds, breeds and people. Private lessons help clarify and tweak those skills that I so desperately need to have for my Gordon to advance. Homework is a must and this reinforces and gives my Gordon a purpose. At home I like to introduce my puppy to a rocker board, and later trading it out for a wobble board for building confidence and being comfortable with movement and sound. The Fit Paws Disc is another way to develop canine fitness, balance and confidence. Learning fundamental skills properly is vital because training mistakes will be very hard to fix later on. I have learned from my mistakes and work to overcome them. One big recommendation is do not compare the speed of your progress to other members of your class. This has been very difficult for me to ignore, primarily because I am generally the only sporting dog in a class of many herding dogs. I find the herding breeds are a natural for this sport and excel quickly. Three Gordon Setter Club of America members who have far exceeded anything I have accomplished and are reliable resources are: Julie Ashley, Ohio, Gail Deller, PA, and Susan Wey, TX. I am sure there are many others who are knowledgeable and successful but these three have helped and supported me immensely in the sport.